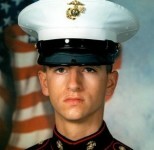 Nicholas “Nick” Kirven was born in Virginia in 1984. 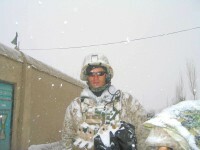 He enlisted into the Marine Corps in December 2001 at age 17 and attended recruit training on Parris Island immediately following his graduation from Douglas S. Freeman High School in 2002. 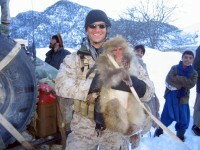 He graduated from Parris Island in November 2002 and reported to Marine Corps Base Hawaii in March 2003. 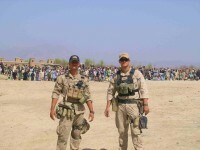 He was assigned to Kilo Company, 3rd Battalion 3rd Marine Regiment, where he conducted a deployment as part of the 31st Marine Expeditionary Unit in 2003. 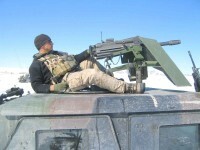 He deployed again to Afghanistan in November 2004, and was killed in action on May 8, 2005. 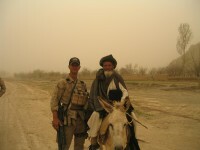 He was posthumously promoted to corporal in 2011. 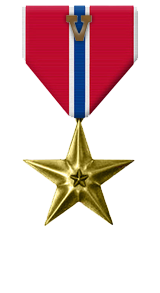 Corporal Kirven’s personal decorations include the Bronze Star with combat distinguishing device, the Purple Heart, the Combat Action Ribbon, and the Good Conduct Medal. 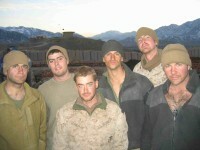 NicholasKirven.com – Memorial and Fund maintained by the Kirven family. 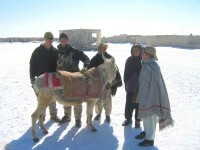 Nick’s Life From Around the World – Website maintained by Nick Kirven prior to his death. 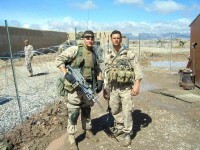 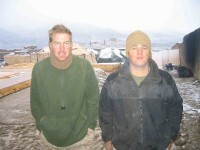 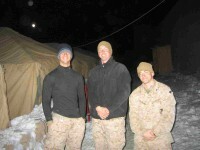 Lance Corporal Nicholas Kirven (L) and Corporal Troy Arndt (R), Kilo Company, Afghanistan. 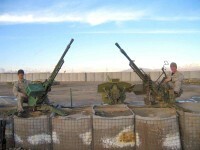 “Me and Nick anti-aircraft gun”, March 2005. 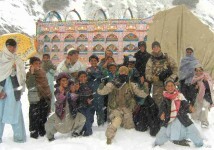 “Shooting with snow shoes on”, February 2005. 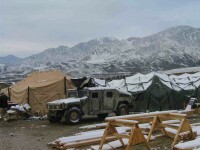 Forward Operating Base at Chamkani during Operation SARATOGA. 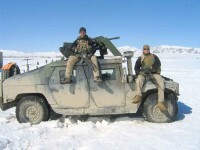 For heroic achievement in connection with combat operations against the enemy while serving as 3d Fire Team Leader, 2d Squad, 2d Platoon, Company K, 3d Battalion, 3d Marines, Combined Joint Task Force-76 in support of OPERATION ENDURING FREEDOM in Afghanistan. 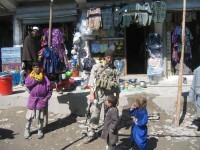 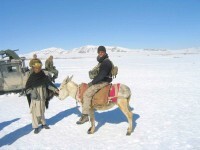 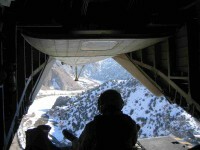 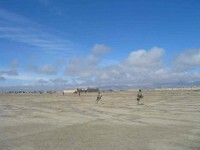 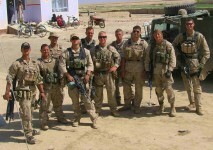 On 8 May 2005, while conducting security patrols in the Mayl Valley, Alishang District and Laghman Province, Lance Corporal Kirven’s squad became the assault element in the counter-attack against an Al Qaeda and Associated Movement ambush position. 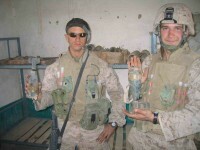 While leading his fire team and closing with the enemy under the cover of close air support, Lance Corporal Kirven had at least one confirmed enemy kill with his M203 40mm Grenade Launcher. 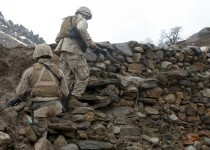 Upon closing with the enemy position and while conducting a search of an enemy body, Lance Corporal Kirven and a fellow Marine noticed movement in a fortified cave just ten meters from their position. 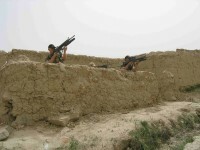 With little regard for his personal safety, Lance Corporal Kirven valiantly assaulted the position to clear it of enemy personnel. 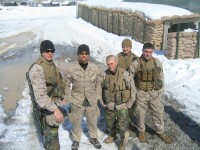 In the process, Lance Corporal Kirven received multiple wounds from enemy automatic small arms fire and fragmentation grenades. 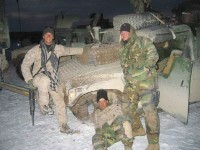 Lance Corporal Kirven continued to fire at the enemy until overcome by his wounds. 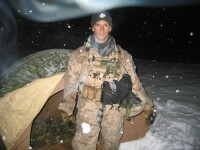 By his zealous initiative, courageous actions, and exceptional dedication to duty, Lance Corporal Kirven reflected great credit upon himself and upheld the highest traditions of the Marine Corps and the United States Naval Service.